When Chinatown comes into a conversation, and the topic of lunch or dinner pops up, you can’t help but thing of Yang Chow. 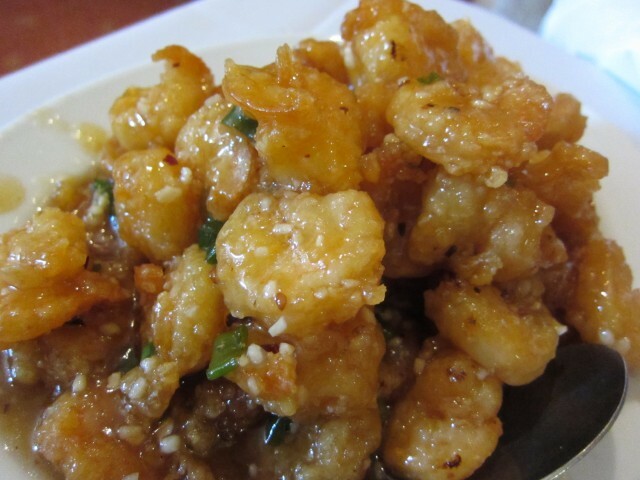 And when you think of Yang Chow, you can’t help but think of Slippery Shrimp. Chinatown can be a scary place to some, but smack dab in the middle of Chinatown on Broadway, is Yang Chow. Inside, it seems like a typical Chinese restaurant, and it is. The furniture and layout is very old school as it should. It’s a classic. The walls are scattered with pictures of local government icons and famous people. 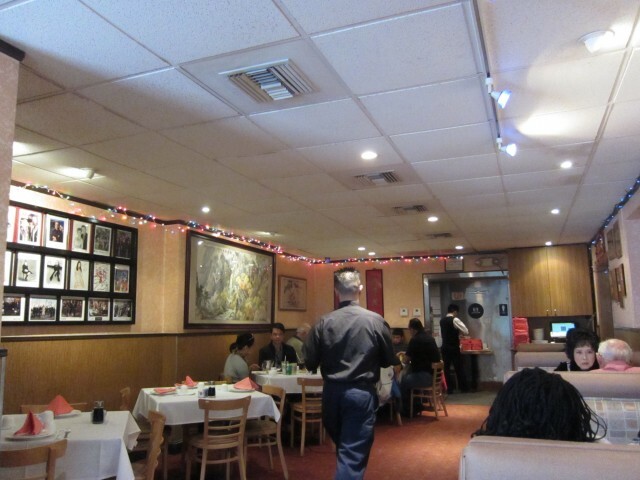 The restaurant opened in 1977 and has been a popular Chinese hotspot since. Of course I ordered the Slippery Shrimp — It’s what they are known for. The shrimp was kind of smaller than you think, but the flavor was massive. The batter was light and crispy. It was a bit on the sweet side, but the hot sauce that they had there balanced out the flavors nicely. Eating it with the white rice was simple and delicious — It was all I really needed. Slippery shrimp and rice was like comfort food for me. 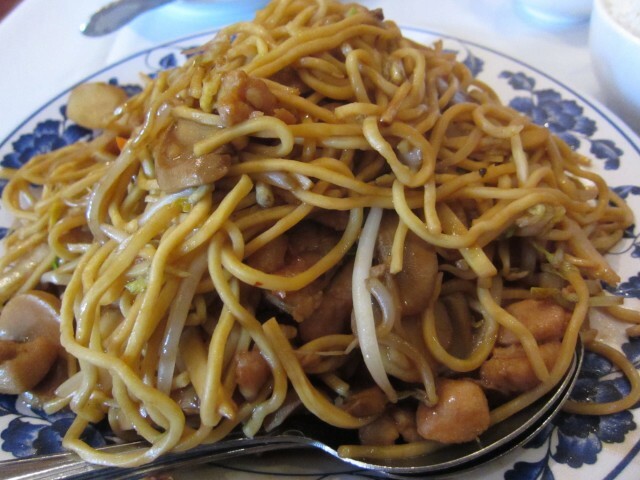 We ordered the Chicken Lo Mein as compliment to our shrimp, though I would have been happy with just white rice. The noodles were thick and the chicken was plenty. Again, I put some hot sauce chili oil over the noodles to give it some spice. Most times, noodle dishes can get greasy and oily. It was a great noodle dish. 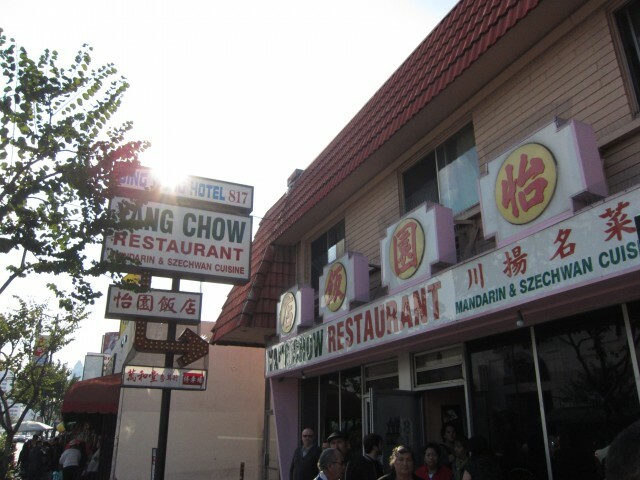 Yang Chow is a Chinatown icon. The place is a popular spot for locals and visitors. It all started with five brothers who wanted to start a restaurant. Yang Chow was the name of their home town. How fortunate of us to have them bring their home town into Los Angeles.